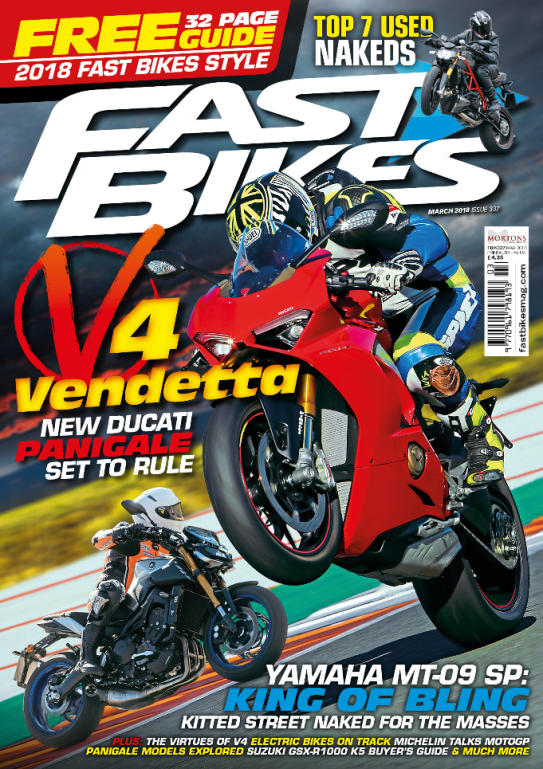 The latest issue of Fast Bikes is out now. Get yours at any discerning newsagent or subscribe to get yours delivered to you each month. The one we’ve all been waiting for, but is it the new king of sportsbikes? Taking Yamaha’s glitzy SP to the limit! Is it really the future of motorcycling? We track test the Energico Ego to find out! 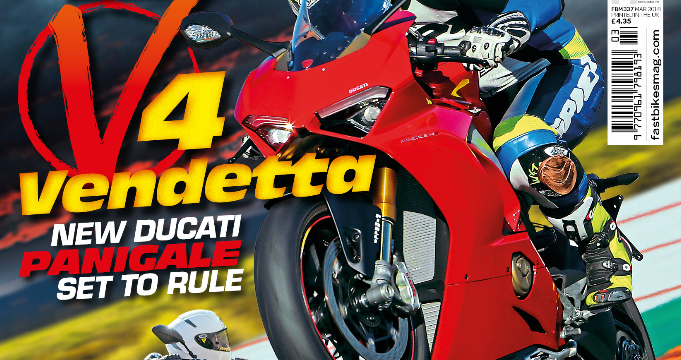 All you need to know before picking up a Panigale! V4s – the very best of! The V4 may be the future, so we look back at its history! Our pick of the best used nakeds out there. Want more dosh from your bike? Step right this way. We get under the skin of stopping! The juiciest goss of 2018 so far! All the best gear you could ever want. 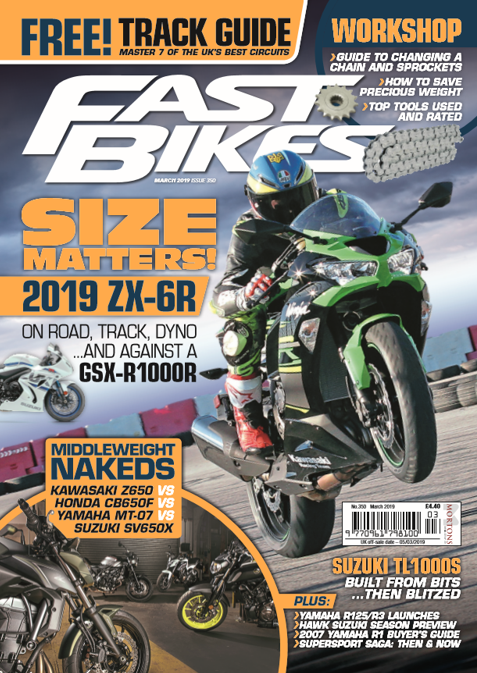 Suzuki’s GSX-R1000 K5 is a timeless bargain! When the family stop you riding. The ingredients that keep you engine alive! Everything you need to know to nail tracks! Cadwell Park is first up. It’s only fair we give the best readers in the world a couple of pages of their own! It’s been a manic month for the big thou’! Our termers get some post-winter love! All the best goss from the paddock! Season prep for the Neave twins! Nailing slopes and falling down cellars. Chaz is on cloud nine! Parrish goes behind the scenes of 2018! Previous Post:Energica Ego Review – Out Now! Next Post:2017 Suzuki GSX-R1000 Recall!